Brookfield offers the classic ‘New England’ town setting that ranges from rural countryside to lakefront, to village-style living. Housing prices also cover a broad range from high end luxury to affordable single family and condominium complexes. You can choose from historic colonials to modern developments and everything in between. A vineyard on Obtuse Road South is neighbor to homes along idyllic lanes and expansive areas of open space. Brookfield uniquely borders two lakes, Candlewood Lake to the east and Lake Lillinonah to the west, providing desirable lake front properties from which to watch the sunrise and sunset. 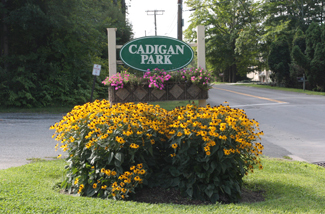 Cadigan Park, on Candlewood Lake, includes amenities such as tennis and basketball courts, picnic areas, a sandy beach and playing fields. Living in Brookfield means that you will enjoy all the amenities and conveniences anyone could want locally. Apartments, townhouses, active adult communities and affordably priced housing are all available in Brookfield. 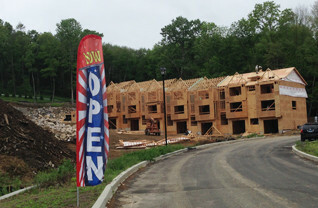 Apartments are located at Orchard Place and Towne Brook Commons; condominiums at Mill River Views and Riverview; townhouses at Oak Meadow; and single family affordable homes at Meadow Brook. Projects under construction or soon to be built are Barnbeck Place, Residences at Laurel Hill, Brookfield Village, Greene Acres and Laurel Hill Townhomes. Read more: Brookfield’s Housing Data Profile.